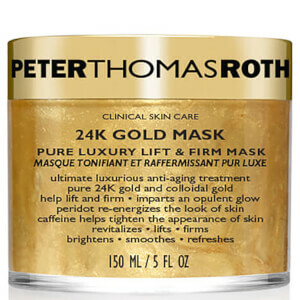 Rejuvenate mature skin with Peter Thomas Roth Rose Stem Cell: Bio-Repair Gel Mask, an innovative formula that utilises cutting-edge plant biotechnology to help repair the signs of ageing on all skin types. Combining five Rose Stem Cells with four Rose extracts, the cooling gel replicates plant technology to perform an unrivalled anti-ageing effect on the skin. Nurturing and hydrating, the face mask works to reduce the appearance of fine lines and wrinkles whilst eradicating dullness and sagging. 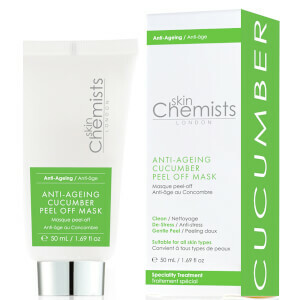 Rebuilding moisture barriers and refining the look of pores, the strengthening mask will help to stimulate renewal and leave your skin with a softer, more radiant and youthful-looking appearance. Rose Commiphora – a duo of the damas rose and the well-known topical stimulant (commiphora tree) that together possess anti-inflammatory properties. Desert Rose – helps promote surface cell regeneration, rebuilds skin barrier and helps restore suppleness. Damas Rose – helps to tighten pores, purify, smooth and strengthen skin resistance to signs of ageing. Pale Rose – helps to rebuild the moisture barrier, provides skin suppleness and softness, regenerating, restructuring. White Rose – a humectant, adds and retains moisture, suitable for normal to dry, mature, sensitive, devitalised skin. Rosa Damascena – distilled from the damask rose, this is a most expensive and rare essential oil containing many properties of the rose in concentrated form. Rosa Canina – rich in Vitamin A and Vitamin C to help soothe and heal irritated skin. Rose Hip Seed – known for its skin-restoring hydrating and balancing properties. Rose Water – soothing and toning properties that help provide weightless hydration to revive tired skin, also known for its light, beautiful natural fragrance. Love the texture and the lovely rose scent. 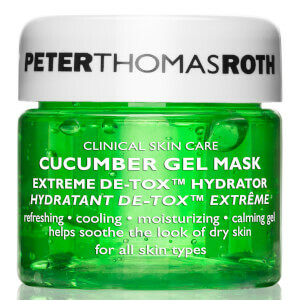 Feels great on the skin on a hot summer's day... almost like a nice cooling mask. 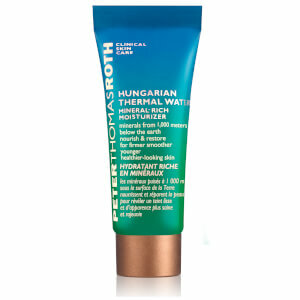 Enjoyed the product lots but didn't do anything to hydrate my thirsty skin unfortunately or improve its appearance. Love this. The smell is great and it did make my skin smoother and moisturizing.